Christmas markets are a great place to shop for unique and thoughtful gifts for the people you hold dear. After all, come Christmas Day you want them to unwrap something that shows how much you care about them and how well you understand their needs. Yet, Christmas shopping can be a tedious and demanding task. Pushing through the festive crowds while slowly making your way from shop to shop, really, is not anyone’s idea of fun. Plus, there is always the risk that you may end up stress buying something that you will bitterly regret when the big day comes around. Like a plastic foot massager or a custom-made T-shirt with the recipient’s name on the front. I may or may not have bought just these super awkward gifts for the people in my life ten or so years back. In case you don’t want to commit any such mistakes and are looking for some original and cute gifts that don’t break the bank this Christmas, head to the nearest Christmas market. There are hundreds of them this season held all over Europe. You know the type, don’t you?! I am talking about the Christmas markets that look like a picturesque Alpine village, have dozens of stalls selling proper handmade crafts, and where the aroma of roasted chestnuts is complemented by the scent of German sausages served with generous portions of sauerkraut and potato salad. Christmas markets are all the rage now. 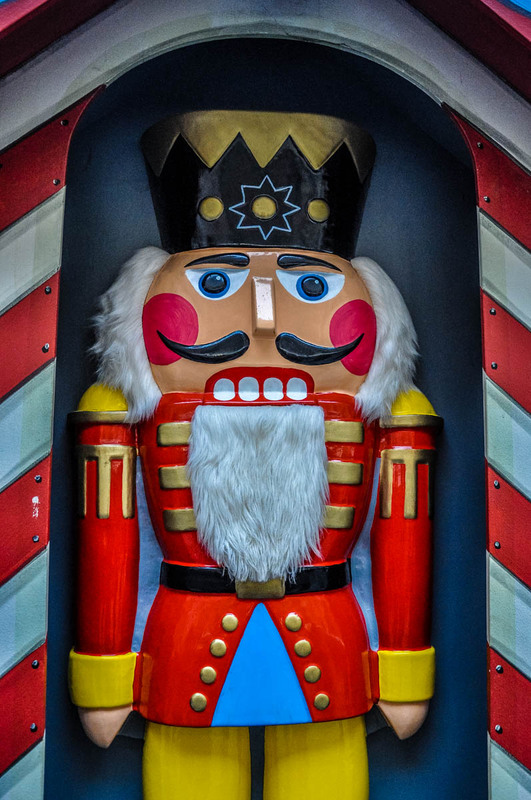 From London to Vienna and from Zagreb to Stockholm, Christmas markets are attracting huge festive crowds. People flock to them eager to experience some Christmas cheer in the shape of a hot mug of mulled wine. Only too right, if you ask me. Where else can you shop with a mug of wine in hand?! 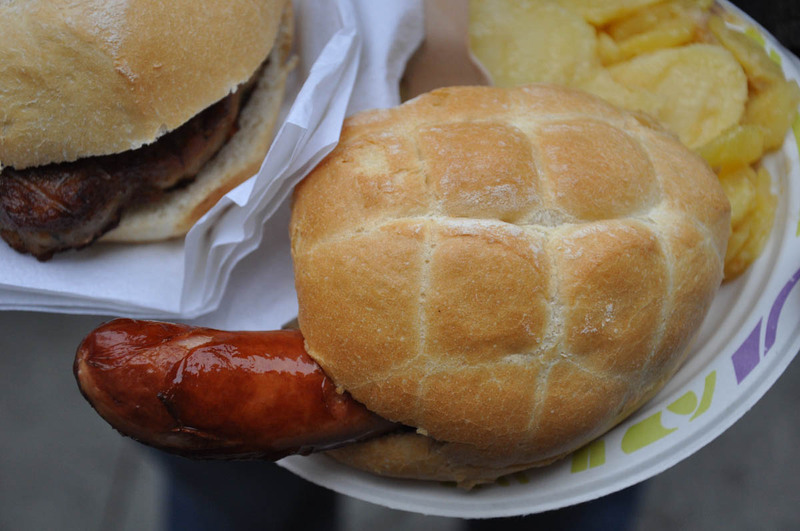 Still, don’t spend all of your time at Christmas markets just drinking yourself merry and stuffing yourself with bratwurst. 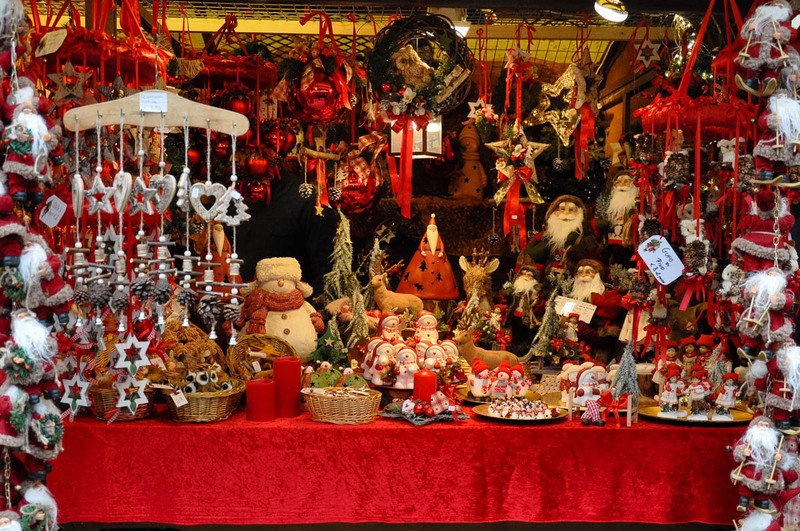 Instead, browse the Christmas market stalls with intent and soon you will realise that they are a treasure trove of great Christmas gift ideas. In order to help you along, here are five of the best things to buy for your loved ones, your work colleagues, your home and, obviously, for yourself at Christmas markets in Europe this festive season. 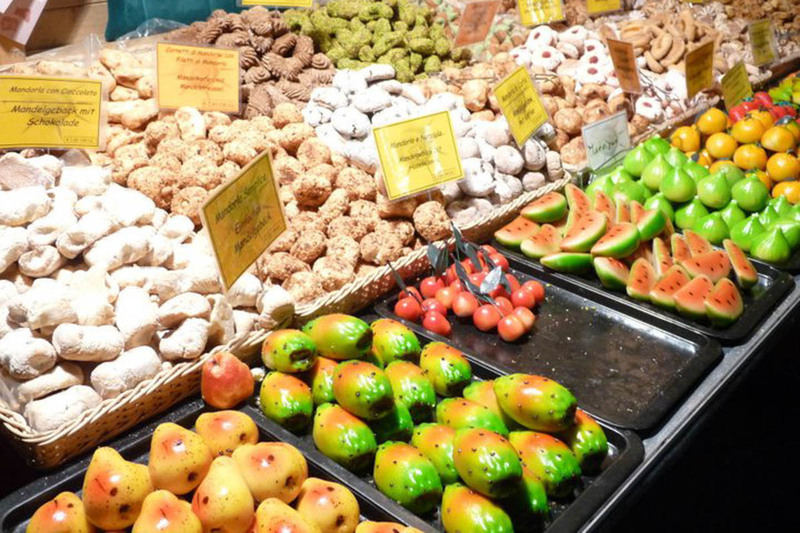 From German lebkuchen cookies to Italian panpepato cake, Christmas markets are a great place to discover the authentic sweets of the various European nations. Don’t be shy! Stock on beautifully decorated Austrian gingerbread hearts and marzipan fruit, Sicilian soft sweets made with almond meal, as well as more-ish Belgian speculoos cookies. Get a large German stollen, some British mince pies, a slab of nougat (called turron in Spain and torrone in Italy). Add to this some handmade artisan chocolate (from Belgium, Italy, and/or Switzerland) and you are good to go. Few are the people who wouldn’t appreciate a sweet Christmas gift and if it comes to that, you can always keep your sweet offering for yourself. Result! 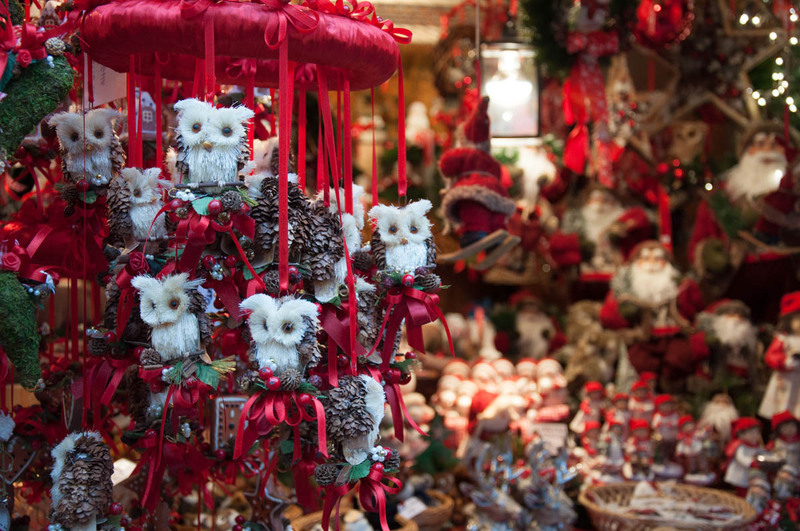 Christmas markets in Europe are a treasure trove of original Christmas decorations. Handmade of wood, straw, pewter and glass, they express different traditions and ways to celebrate this most important Christian holiday. 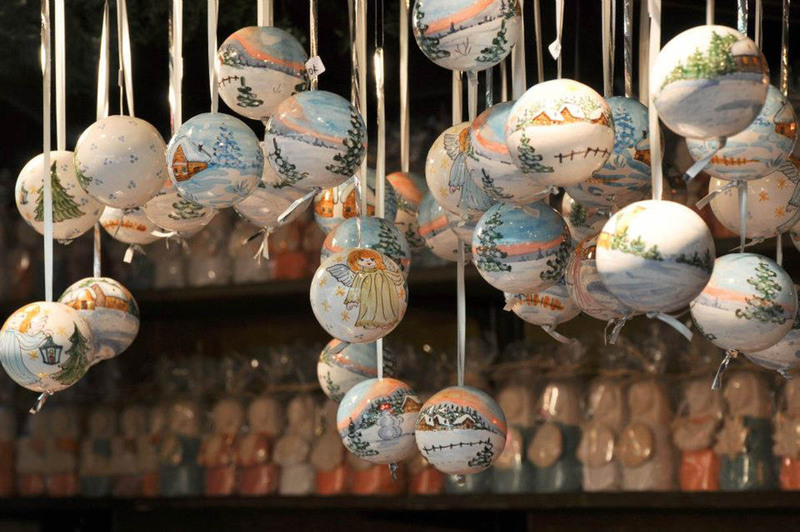 I love hand-blown Christmas glass ornaments from the Czech Republic and the island of Murano in the Venetian lagoon. I also love rustic Christmas decorations made of cinnamon sticks, pieces of wood and pinecones. I can never resist both traditional and design-led Christmas baubles. Don’t forget to grab a nice snow globe, paper stars (if you are in Germany), and an Advent wreath – Adventskranz (if you are in Austria). And, make sure that you either stock on some handmade figurines for your Nativity scene at home or buy your very first Nativity. 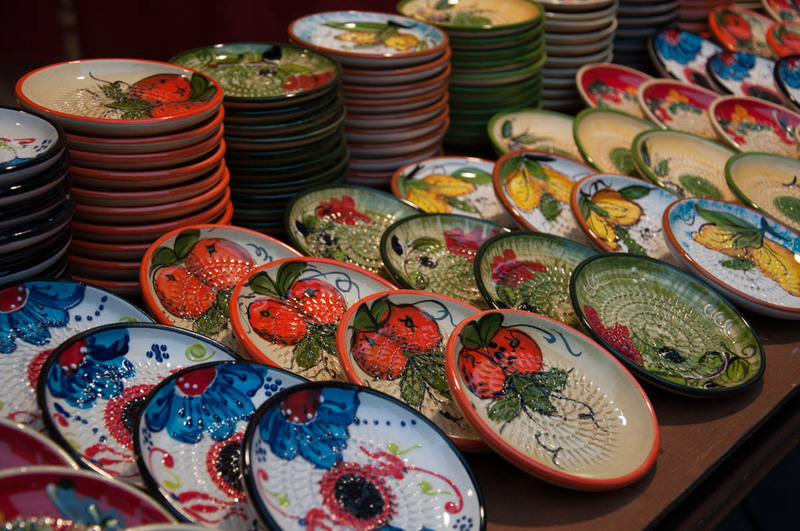 The ones made in Naples in Italy are particularly famous. But you can find gorgeous and unique Nativity scenes reflecting the local aesthetics and traditions at Christmas markets all over Europe. Christmas markets really are the best place to rummage through in search of yet another original Christmas decoration or two. Each year, when we decorate our Christmas tree, we know exactly which Christmas market each decoration came from and we spend some time reminiscing about our visits to them. 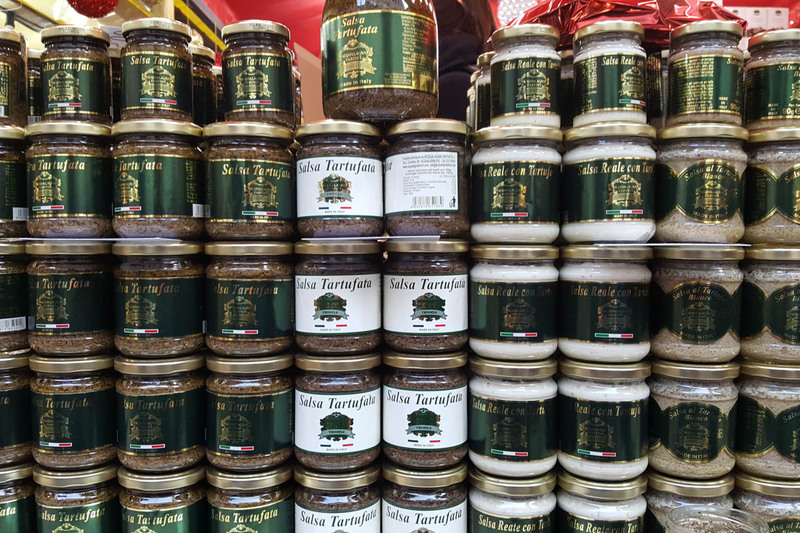 With shops nowadays stocking mostly mass-produced stuff, visiting Christmas markets manned by local artisans is like a breath of fresh retail air. Handmade wooden toys, soft cuddly slippers, traditional nutcrackers, leather items, patchwork, hand poured beeswax candles. Shopping suddenly feels so much more meaningful. My favourite Christmas market in this respect was in a small Northern Italian town called Ala. A couple of centuries ago Ala was an important centre of velvet production. The local velvet tradesmen, enriched by the sale of the luxury fabrics, built several Baroque palaces dotted around the town’s historical centre. Each year, Ala’s Christmas market takes place inside the courtyards and the rooms of these Baroque palaces. It was wonderful to walk from one to the next and to chat with the artisans who had set up their stalls there. We bought a very nice handmade Nativity scene, honey and beeswax candles directly from the producer (a small farm in the Italian province of Trentino), and a patchwork cushion stuffed with dried local herbs. It’s quite incredible that I can still remember not just the items we bought but also the little chats we had with the artisans who had made them. It wouldn’t be Christmas without a cheery novelty gift. Something to look at through the cold and hot days of the new year and reminisce with a warm glow inside about the amazing time you had at a particular Christmas market. Like, for example, a mulled wine mug with the name of my favourite Christmas market in Vienna emblazoned on it. A ceramic garlic grater that we bought many years ago at a Christmas market in London and then we also saw at the Christmas market in Verona. Or a Christmas bauble shaped like a famous local sight like the Doge’s Palace in Venice. 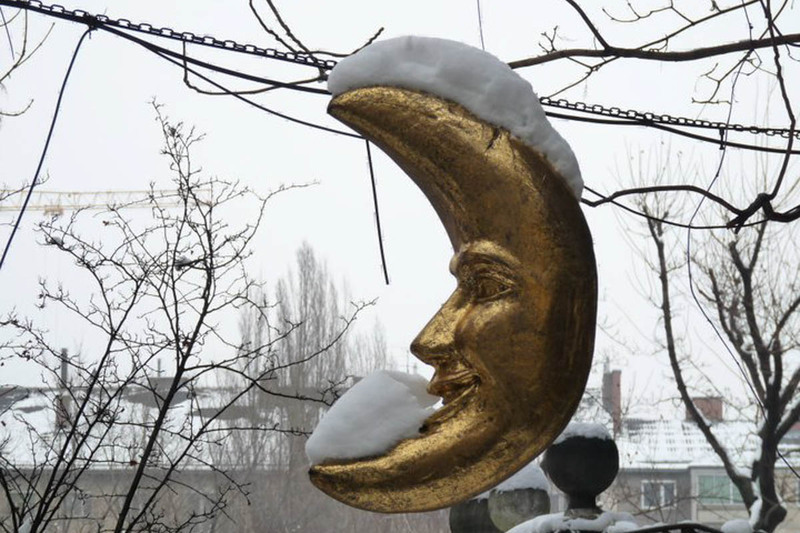 So, yes, ’tis the season to be merry and a bit silly. If you see something that you are not sure how you are going to use but it appeals to your sense of humour, don’t resist it. Even if that means that for the rest of the year your mulled wine mug will actually be demoted to a regular coffee cup. 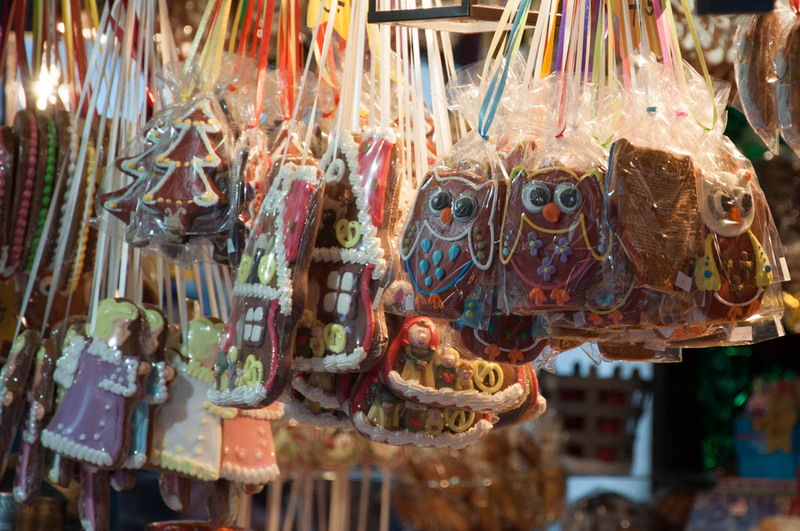 Christmas markets are a great place to buy luxury and artisan food items. Like the honey produced by a small farm, I mentioned above. Or like special sauces and chutneys sold in tiny jars. Or German sausages brought across borders. Or spreadable pistachio cream. Or a handmade panettone that has been left to rise three times. Hand-selected food items make a great Christmas present for colleagues and friends. Everyone likes to be treated to nice, exclusive foodstuffs every now and then. Christmas markets are a great hunting ground for such little delights. Christmas markets all over Europe are a great place to have fun and shop for unique items to give as gifts to cherished people and yourself. 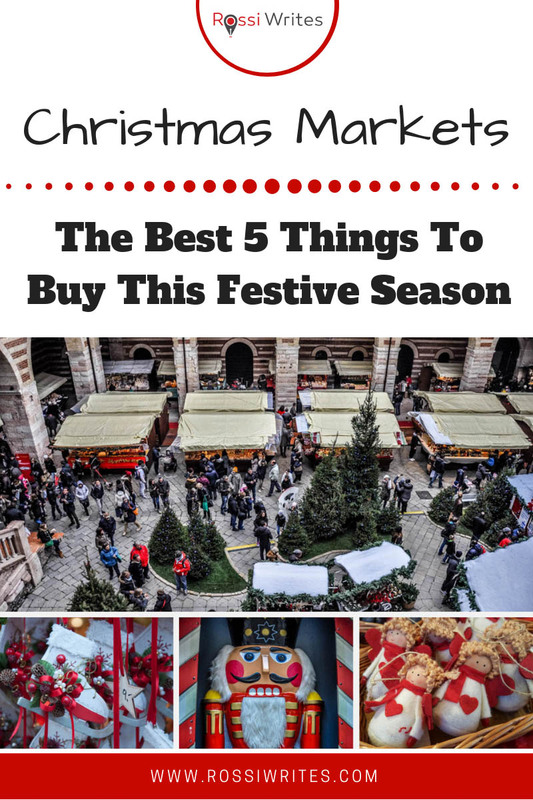 The above five points will inspire you with ideas as to what to look for at Christmas markets in Italy, Germany, Austria, Great Britain, Belgium and any other European country you can think of. From traditional Christmas cookies to Christmas hand-blown glass ornaments; from artisan pistachio spread to hand-carved nutcrackers, Christmas shopping has never been more imaginative, cute, and sweet.